I gave a talk about Ant Ballet at the Bartlett School of Architecture‘s Plexus lecture series. Plus the Bartlett’s very own Mollie Claypool as a special guest. Thank you to Jose Sanchez for the invitation! 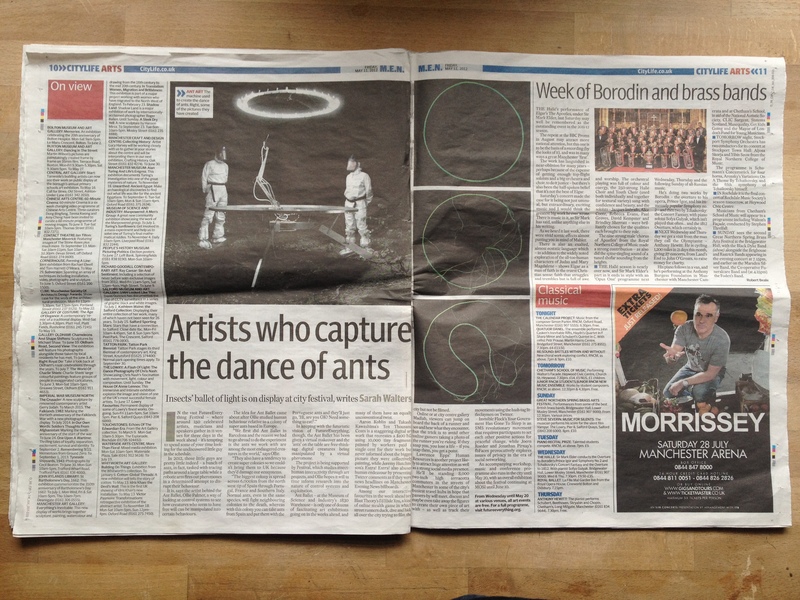 Ant Ballet is featured, albeit very briefly, in this weeks’ issue of New Scientist (22 Dec 2012). For more information about the Flea Circus, see Tim’s website. For more from New Scientist, visit their website.